1. Do I need recognition of my secondary school leaving certificate for my application? For German citizens with foreign university entrance qualification the recognition of their school leaving certificate by a German recognition office is necessary. Additionally, final grade has to be converted. 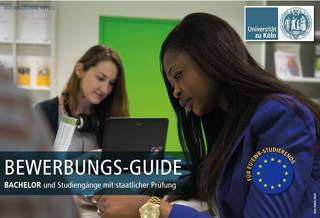 If you reside in a foreign country or in North Rhine-Westphalia (NRW) and are willing to study in NRW you have to contact Bezirksregierung Düsseldorf. If you live in any other federal state of Germany, please turn to the recognition office in a given state. If you possess Studienkolleg assessment test (Feststellungsprüfung), there is no need to formally recognise secondary school leaving certificate. 2. 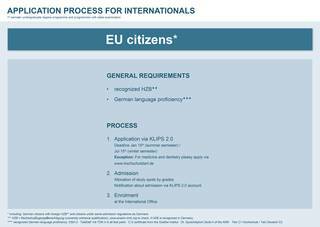 Do I need to submit German-language proficiency certificate, even though I am a German citizen? TestDaF at level TDN 4 in all four test parts. Exception/equal recognition: Applicants with certain international school leaving qualifications with German language as a part of final examination (IB – International Baccalaureat), bilingual school leaving certificates, or who attended 8th and 9th grade of German regular school do not need to submit language certificate. For more information about German-language proficiency please use our contact form. Detailed information regarding prerequisites for studying and language requirements can be found in our Application Guide for International Students from page 8 onwards. 3. How and where do I apply? What are the deadlines? Medicine and Dentistry Applicants apply using the portal of the Stiftung für Hochschulzulassung (Hochschulstart) at: www.hochschulstart.de. Before applying, you must register with the Stiftung für Hochschulzulassung (Hochschulstart) at www.hochschulstart.de. There you receive user data (BID/BAN number) which is to be entered in the Klips 2.0 application. 4. What application documents do I have to submit? If you apply for Medicine or Dentistry you should not submit any further application to the International Office, since you already did apply at Hochschulstart. You might apply for up to 9 study courses. If so, please admit just one application set. 5. How am I notified of admission and what are the next steps? You will receive admission notification on your Klips 2.0 account. Please make sure to monitor the status of your application on Klips 2.0 account. Further information can be found in our Application-Guide for International Students on page 16. 6. How do I enrol once being admitted? After being admitted, you can enrol at the International Office of the University of Cologne. 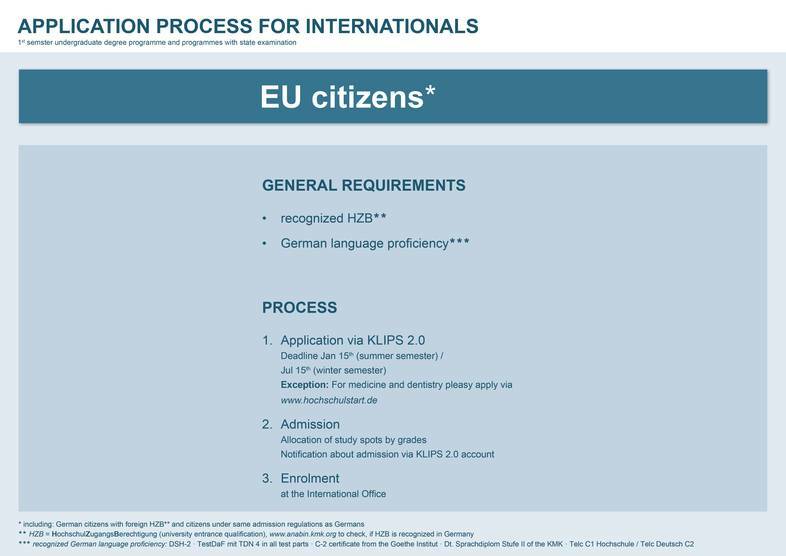 The enrolment documents must be received by the International Office of the University of Cologne by the indicated deadline (you can either submit these in person or sent by mail). You can view which documents are required for your enrolment on your Klips 2.0 account.